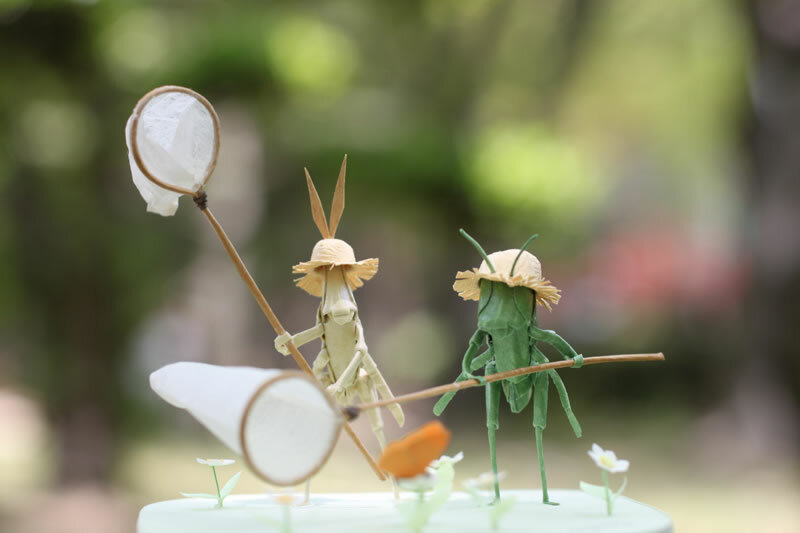 When Takuji was a child, he made a insect in paper, and had a compliment by his teacher, since he always interested to make insects of paper. His son Kensuke joined him after graduation of Beaux Arts in Osaka to found the Atelier of Paper Craft Art together. These insects are made only in paper and real size. They show us the human life by the insects.